Your use of this website and the purchase of products is governed by these terms of service and Our Guarantee. 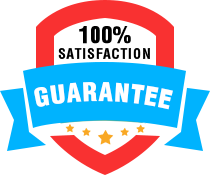 Except as set out in these terms of service and Our Guarantee, we accept no liability for the contents of this website or any of the products sold. Our liability for any product which is defective or causes loss or damage of any kind is limited to the cost of the product or the provision of a replacement. Discountpetcare.com Customer Service is the marketing arm of DPC. DPC is not engaged in transacting sales but is in the business of facilitating transaction on behalf of various dispensing facilities worldwide. All orders are shipped free of charge; however, we do have registered post option available. In few cases DPC has been retained to create and issue invoices on behalf of the authorized dispensing facilities. In these instances, separate shipping and handling charges will be shown on the invoices. The customer is responsible for taxes such sales, service taxes etc associated with their order. If required / applicable a separate tax will be shown on DPC's invoice. It is your responsibility to ensure that your use of this website and the purchase of any products from us complies with the law where you live. We make no representation or warranty in this regard. By using this website and purchasing products from us, you agree that you are not doing so for the purposes of taking any legal action against us. Prices are subject to change without notice. You shall not be entitled to assign the Contract or any part of it without the prior written consent of us. We may assign the Contract or any part of it to any person, firm or Supplier. It is your obligation to enter the correct delivery address at the time of ordering. If you enter the wrong address, we are not obliged to re-send the order to the correct address at our expense. The delivery address cannot be changed once the order has been shipped. Once you have placed an order, if we are unable to ship any part of it, we may at our sole discretion, either send you part of the order that is in stock or remove item(s) from the order. We accept no responsibility if your order is stopped by international customs and cannot accept responsibility for packages held by customs. Items ordered are subject to border control restrictions from your country's customs department or regulator. When items are ordered for delivery please ensure that you are aware of any restrictions which could result in non-delivery or delay. We cannot take liability for items being imported into countries where restrictions are in place. You will be fully liable for the cost of the order if the item is held by customs or your regulating authority. Resale is usually prohibited by the laws of the importing country as any import from us is for personal use only. Import duties and taxes may have to paid in some countries. It is the recipient's responsibility to obtain details of these charges from customs & excise in the country to which goods are being dispatched to. The Website Owner and its directors, shareholders and associated persons shall not be responsible for and disclaims all liability for any loss (including injury or death of an animal or a person), liability, damage (whether direct, indirect or consequential), personal injury or expense of any nature whatsoever which may be suffered by you or any third party (including your company), as a result of or which may be attributable, directly or indirectly, to your access and use of the website, any information contained on the website, your or your company's personal information or material and information transmitted over our system. In particular, neither the Website Owner nor any third party or data or content provider shall be liable in any way to you or to any other person, firm or corporation whatsoever for any loss, liability, damage (whether direct or consequential), personal injury or expense of any nature whatsoever arising from any delays, inaccuracies, errors in, or omission of any share price information or the transmission thereof, or for any actions taken in reliance thereon or occasioned thereby or by reason of non-performance or interruption, or termination thereof. Warranty associated with a product is the sole responsibility of the manufacturer. To the maximum extent permitted by law, discountpetcare.com disclaims warranties and conditions, express or implied, in respect of the products and services contemplated by these terms of sale, including, without limitation, implied warranties and conditions of merchantability and fitness for a particular purpose. In case of claims the responsibility of discountpetcare.com is limited to replacement of the product or value of the product. Please note that not all the products, services and Information are available in all the countries. The Information does not constitute an offer or solicitation to buy or sell any product, service or information to anyone in any jurisdiction in which an offer or solicitation is not authorized or cannot legally be made or to any person to whom it is unlawful to make an offer or solicitation. The terms and conditions applicable to any product, service or information will be those determined at the time of provision of the product, service or information. Please be aware of the laws of your jurisdiction or that otherwise apply to you in relation to purchase of any products or service from discountpetcare.com. If you choose to access the Site you do so on your own initiative and are responsible for compliance with applicable local, national or international laws. You may not use or import or export or re-export the Information or any products in violation of any applicable laws or regulations, including export laws and regulations in your home country. The Information provided on discountpetcare.com is for informational purposes only and is not intended to provide specific advice for your pet, and should not be relied upon in that regard. You should not act or rely on the Information without seeking the advice for your pet from a veterinary professional. Please do not use the information contained on discountpetcare.com for diagnosing, treating, curing and preventing a health problem or prescribing a medication for your pet. Please read all the information provided in pack insert provided by the manufacturer prior to using the product or application on your pet. Always consult a veterinary doctor for advice and treatment of your pet.